We are always looking for new volunteers here at the MHS! Our official training for new volunteers is in the spring of each year, but we are more than happy to do "on the spot" training for you whenever you want to start. 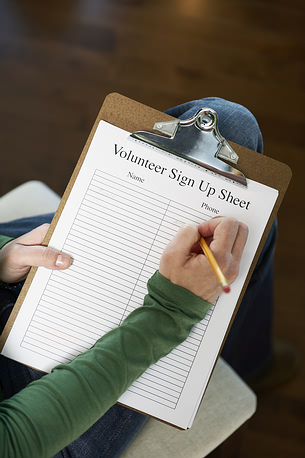 Ever thought about becoming a volunteer? Our museum is run on volunteer power. Each year our museum is scheduled to be open 1,040hours and is staffed by volunteers. We hope you will consider becoming a volunteer, it is very rewarding work and opportunities abound at our museum! With your help, we can provide even more hours of service to our community! Being open is vital to the success of our mission. For those of you who have never volunteered before, there is no time like the present to try it - you'll like it! A great big thank you to our volunteers for all you do! Greeters - A Pathway to becoming a docent, greet and welcome visitors to the museum. Are you outgoing and want to learn more about Milton? Well, step right this way! You are the face of the museum! Greeters & guides welcome visitors to the museum and provide a brief orientation of the exhibits and history of Milton. May be asked to do other basic office tasks. Greeters are encouraged to sign up for 2-4 shifts per month. Docents - Q: What is a docent? A: A person who acts as a guide, typically on a voluntary basis, in a museum, art gallery, or zoo. Do you love talking about Milton and its history? Then this job is for you! Curb Appeal Team - Our museum is a beautiful place, but could always use a little "sprucing up" - from sweeping the walk, picking up around the property, pulling weeds, trimming hedges, mowing the lawn (we have a lawn tractor... and you know you want to ride it! ), helping with minor repairs, and even taking out the trash. It is not the most glamorous job, but it is among the most important one for our museum. This work is ongoing and in a perfect world, the team would meet up on a weekly basis, or as work is needed. Fundraising Team - Are you experienced in fundraising? If you know how to help with raffles, auctions, grant writing, or ??? then, please hit up Mary, she would REALLY love to talk to you! Pre & Post event set up and clean up - When we have events such as lectures, or Second Saturday we could use a hand setting up seating, maybe a quick sweep, breaking down tables and chairs, cleaning up the bar. Many hands make light work. Archives & Exhibit Assistant - Help inventory and catalog the museum's collections with the curator. Archives assistant may also help with data entry on our database software. Exhibit volunteers assist with new exhibit preparation and installation depending on the volunteer's interest. Volunteers interested in these jobs will be trained by the curator. Walking Tour Guide - Are you able to walk, talk and chew gum at the same time? Then this might be the job for you! Volunteers interested would lead groups of anywhere from 10-20 people on various tour routes throughout town. Walking tour guides will be trained by the director. Other positions that require little to no training - Cleaning & organizing, Special events greeter, landscaping & grounds, photographer and mailing/office assistant. This 4-week program will give you the tools you need to become a Volunteer. Led by Patti Nicholson, the first session on March 16th will include an overview of the exciting opportunities available to volunteers. Each session is from 10 am to noon. Volunteers are vital to the museum, so please consider attending!